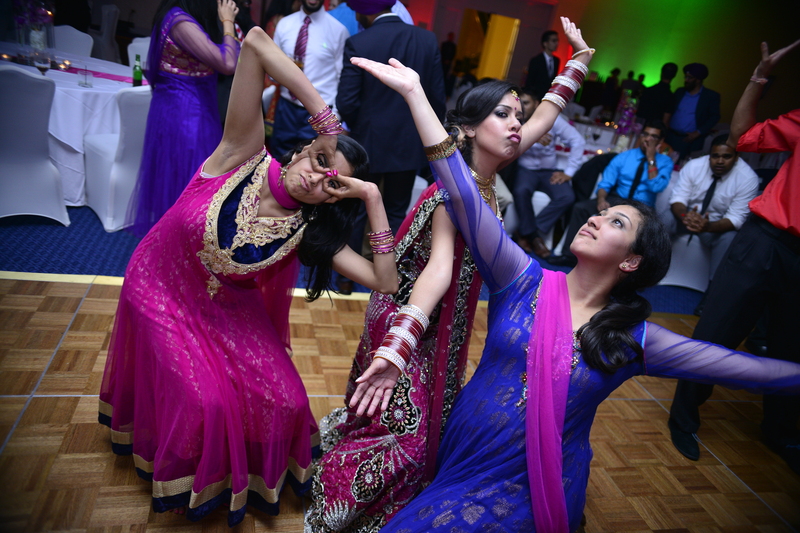 Romy and Jasmeet are both bhangra dancers. 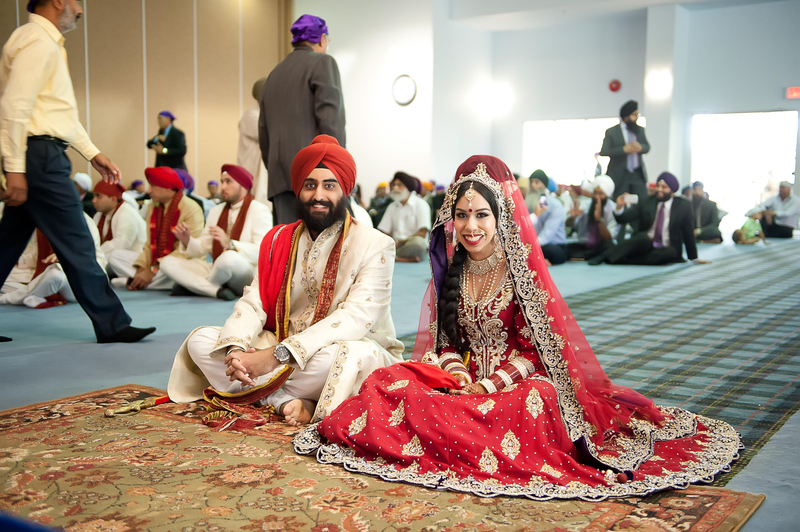 They met at the annual Bruin Bhangra competition that takes place in Los Angeles in 2011. They then started a long distance relationship a few months later. Jasmeet was in the DC area and Romy was in Vancouver. 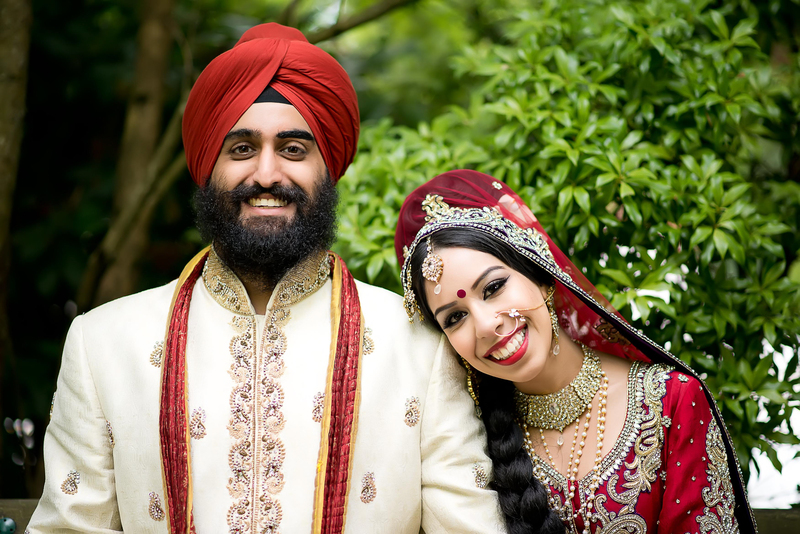 Two years later, they tied the knot at a beautiful Anand Karaj ceremony in Vancouver, followed by a reception in DC a few weeks later. What events did you have during your wedding week? I had three maiya’s. The first one was very small at my aunt’s house and it kicked off the wedding week. 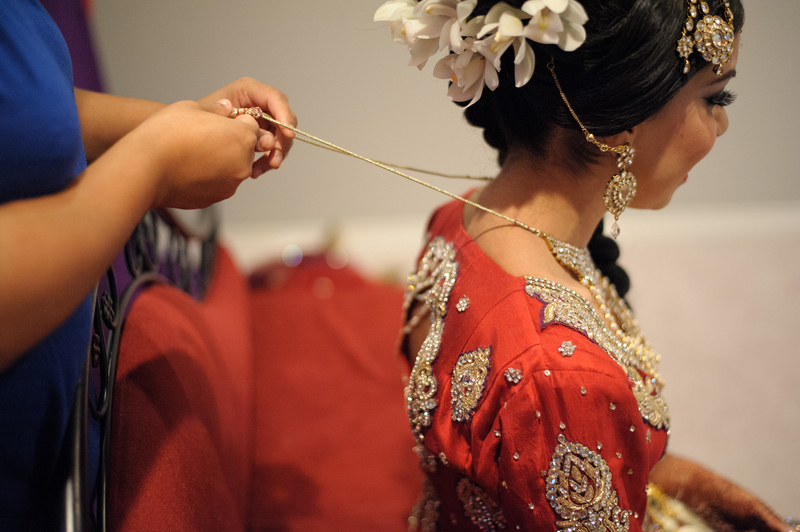 The second was at my parent’s house and it was a bit bigger with more family and it was followed by my mehndi night. We had a large tent set up in our backyard and all of my family and friends who were there sang, danced and had a great time! 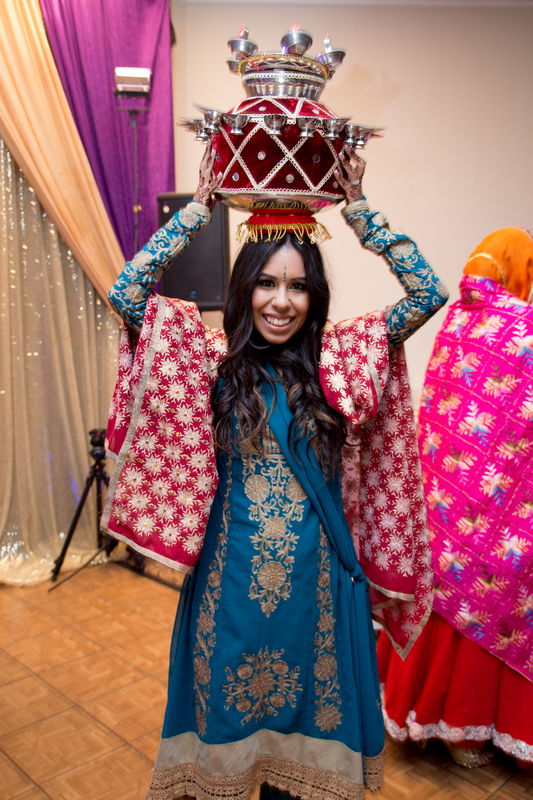 Lastly, my third maiya took place at my sangeet party. We did a third one for relatives and friends who couldn’t make it to the other two. I wanted everyone to have a chance to participate in this tradition. 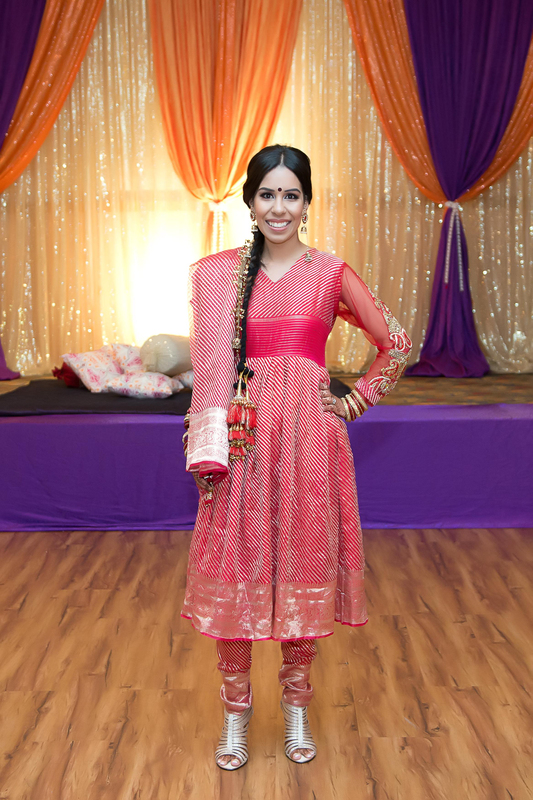 At my sangeet, I wore my mother’s wedding outfit when she got married as an ode to her for being so loving and awesome! 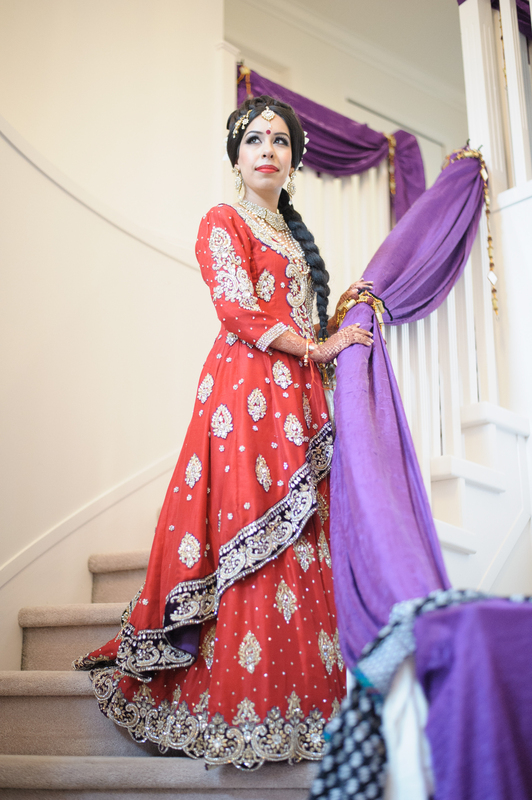 She actually made this outfit by hand using sari material a few weeks before her wedding. 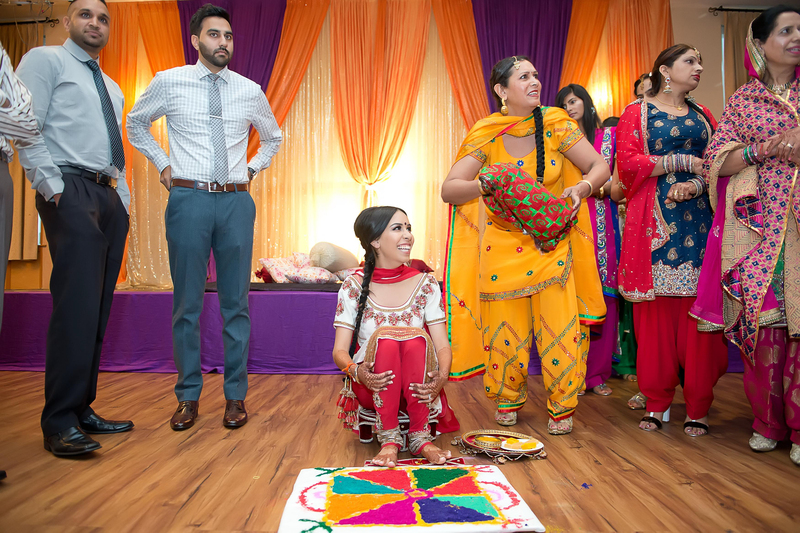 Jasmeet’s mehndi party was at the Guildford Sheraton. 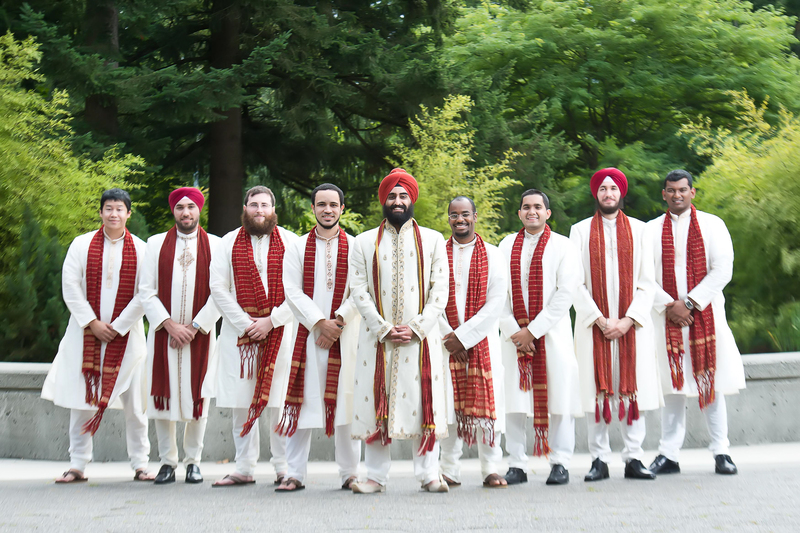 Our ceremony was at Dukh Nirvaran Gurdwara in Surrey and that night we took our friends out to dinner in downtown Vancouver. 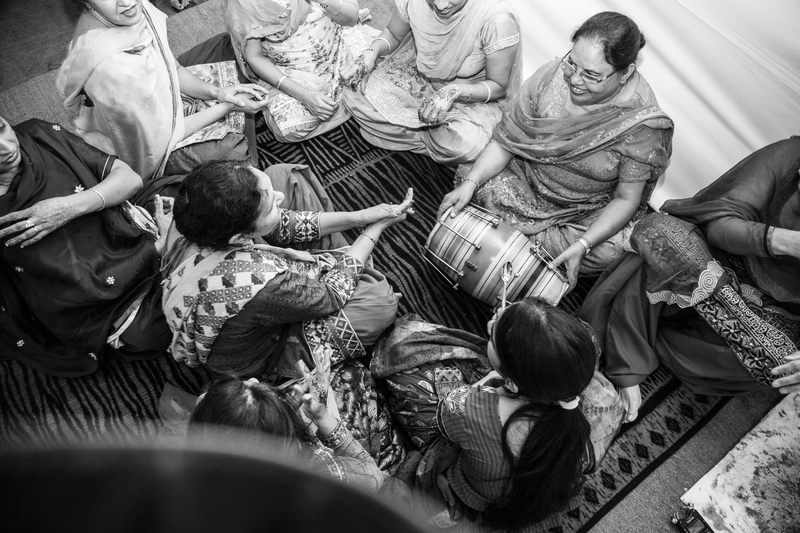 My chura ceremony was done the morning of the wedding ceremony. 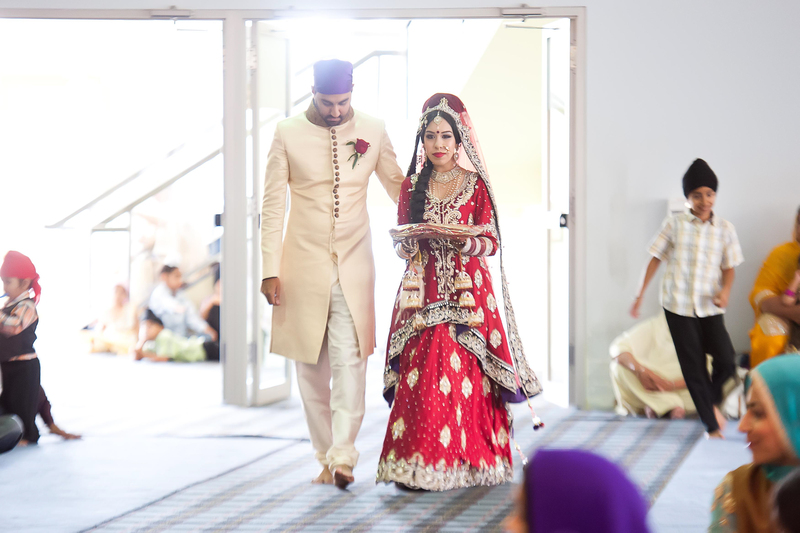 Three weeks later we had our reception at the Westfields Marriott, Washington Dulles. Share about how you made arrangements for the out-of-town guests. We arranged transportation for all out of town relatives that were flying in. 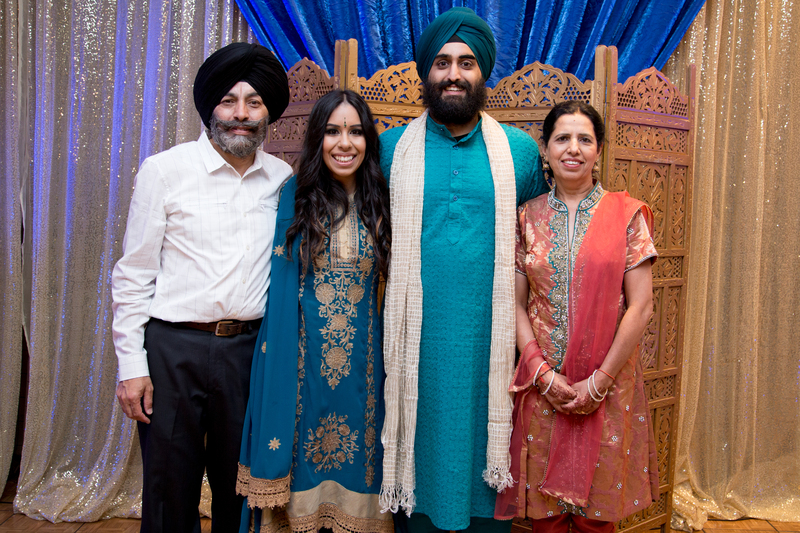 Jasmeet’s relatives and family stayed at the Guildford Sheraton. We were very happy with them. The hotel itself is very nice and they were very accommodating. 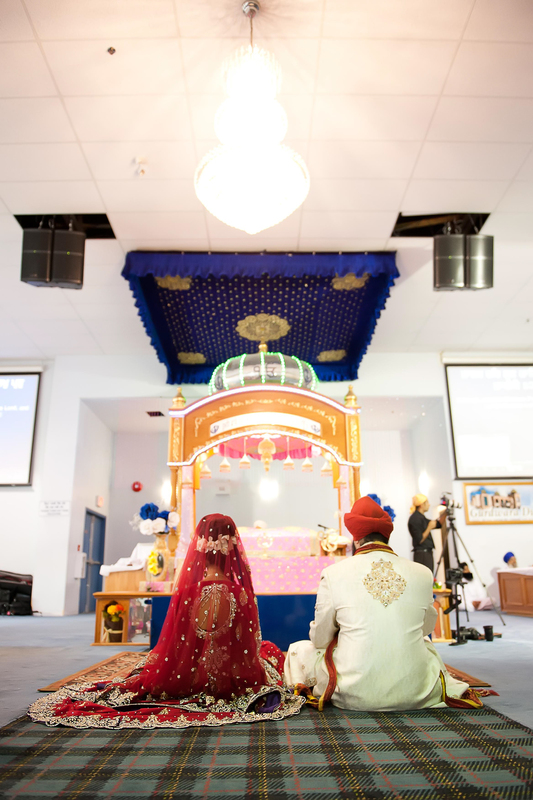 On the wedding day, to make things easier for Jasmeet’s family, we arranged a charter bus that took them to the Gurdwara, my parents house for the doli ceremony and to downtown Vancouver at the end of the night. The bus also made trips back to the hotel periodically through out the day when some relatives wanted to freshen up. 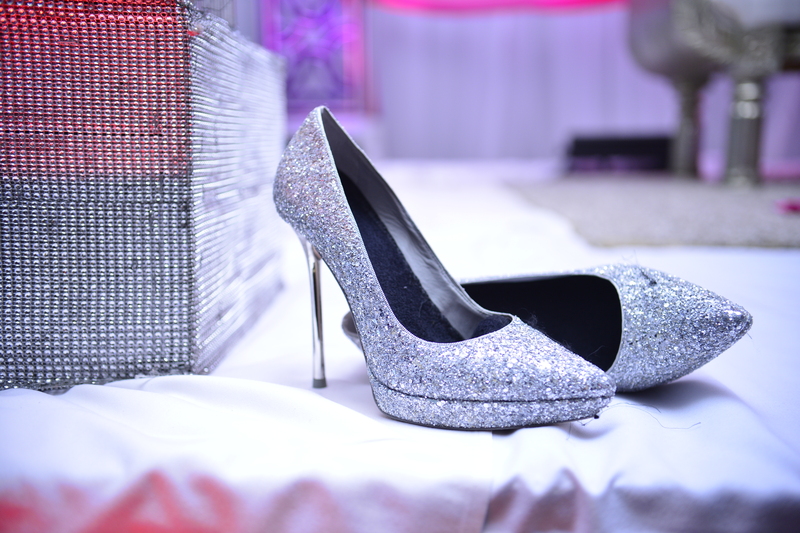 Where did you get ready on your wedding day? Pink Orchid, the hair and makeup artists, came to my house at 4am to get me ready for the wedding day. It took a good 3.5 hours to get ready. I had over 100 bobby pins in my hair! 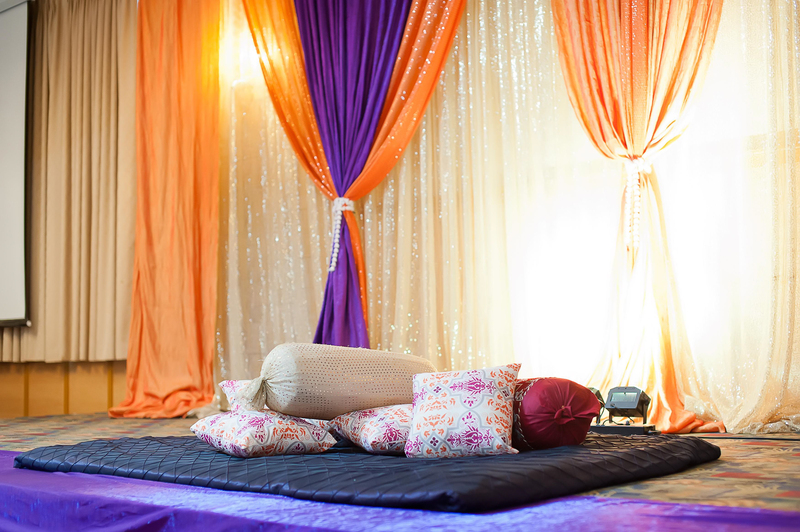 What was the theme for your reception? 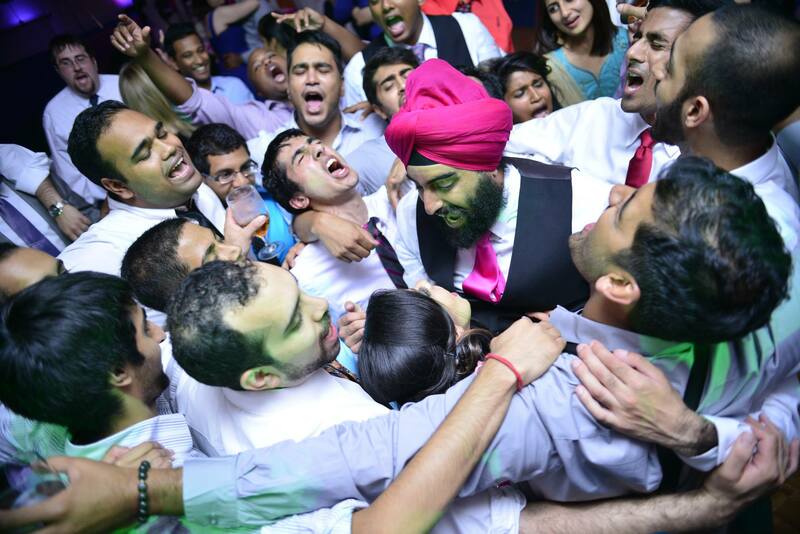 A bhangra competition without the competition. 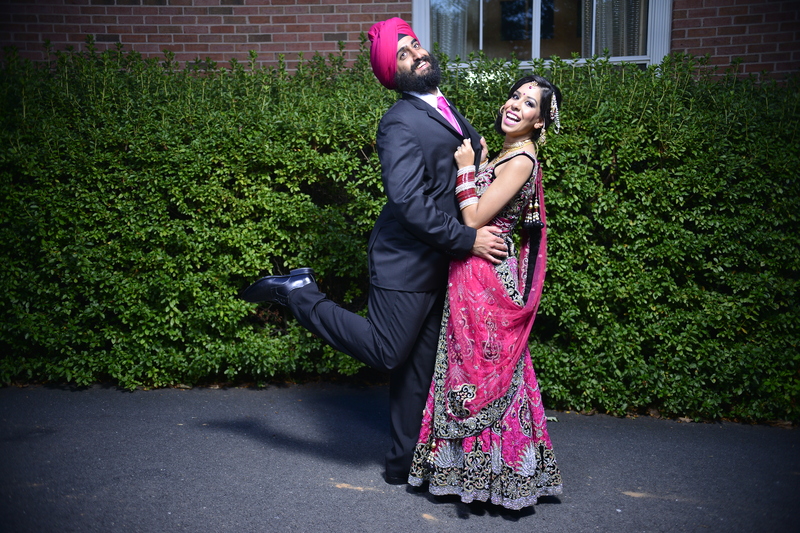 Since we both love bhangra and met at a competition! 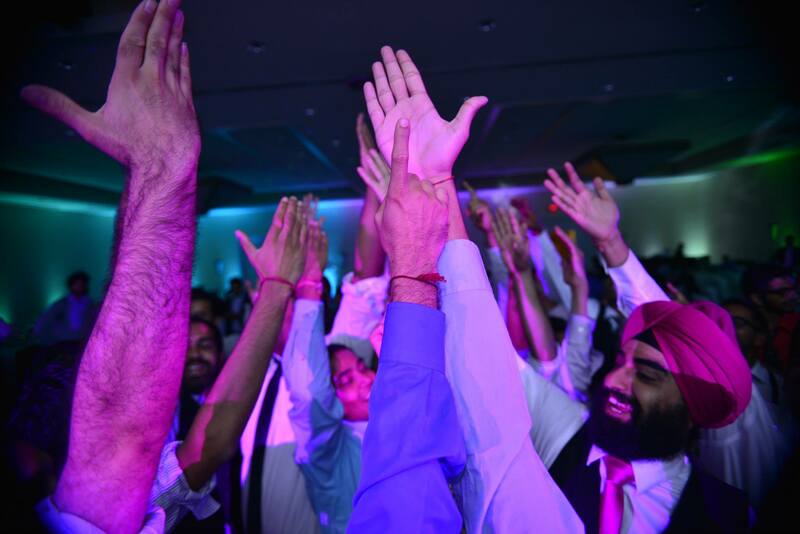 Bhangra performance with 24 dancers! 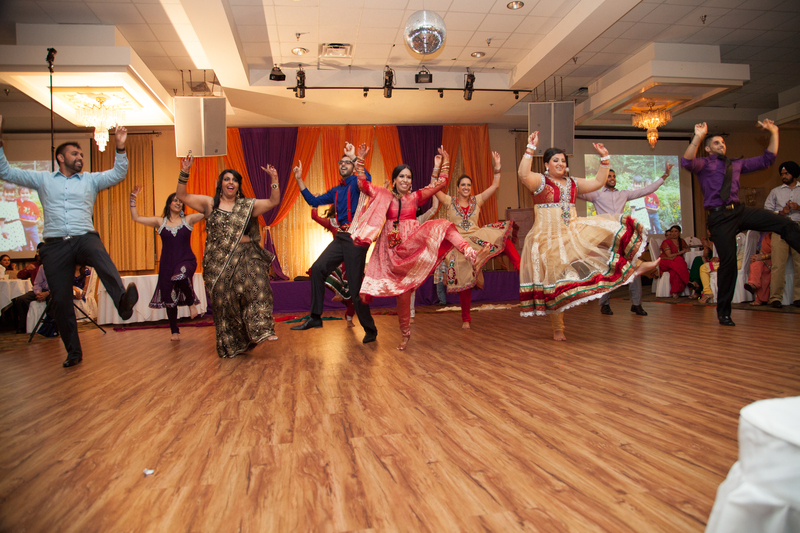 Our reception favors were t-shirts – like the one’s they give away at bhangra competitions! We had our friend design a logo and he included the Vancouver and DC skylines in the design. 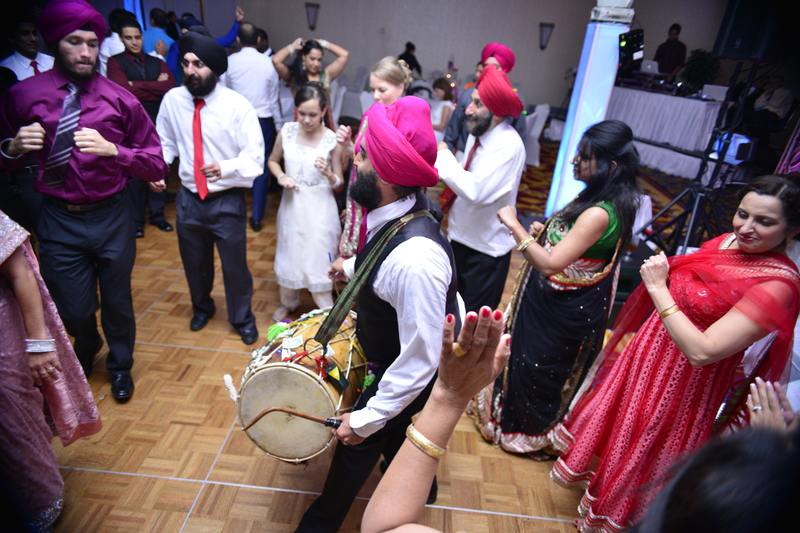 Jasmeet is a dhol player, so he selected a lot of our vendors for the DC reception, since he’s friends with many of them. We also kept our program really short – about 20 minutes long to maximize time to dance and have fun with all of our family and friends. There were 2 speeches from each side and 2 performances. 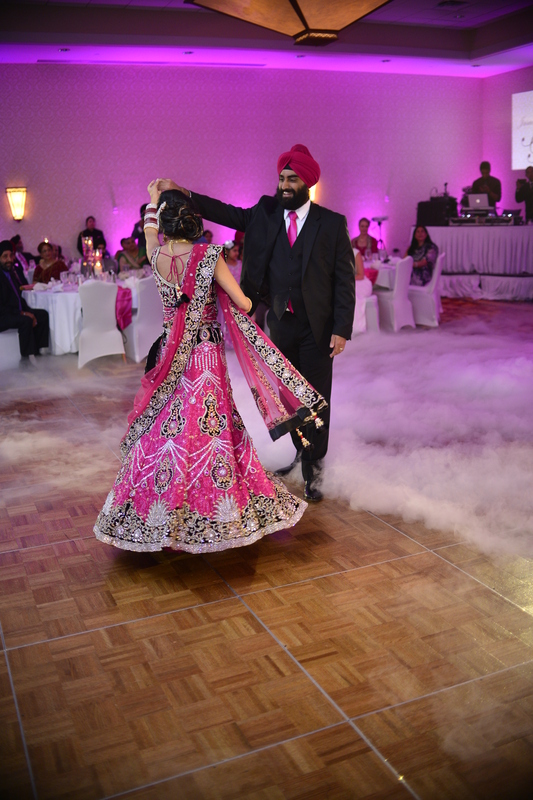 And we did our first dance and cut the cake as soon as we made our entrance into the ballroom. 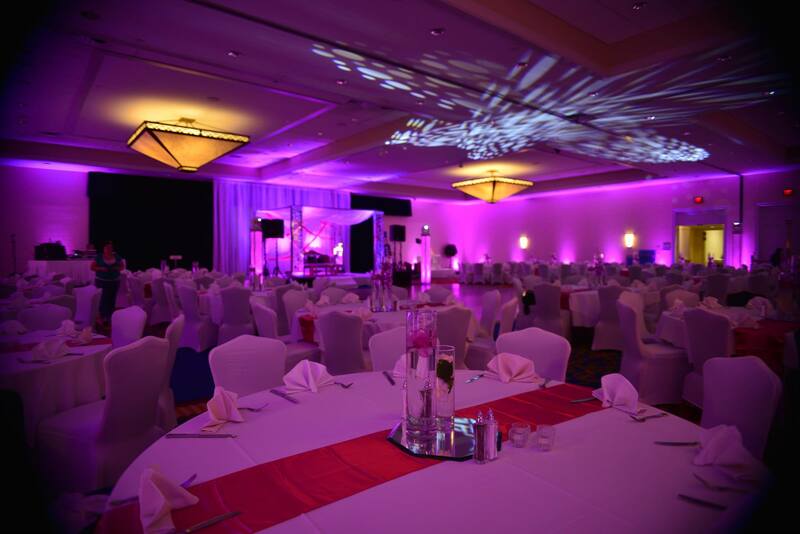 How did you select the Westfields Marriott for the reception? 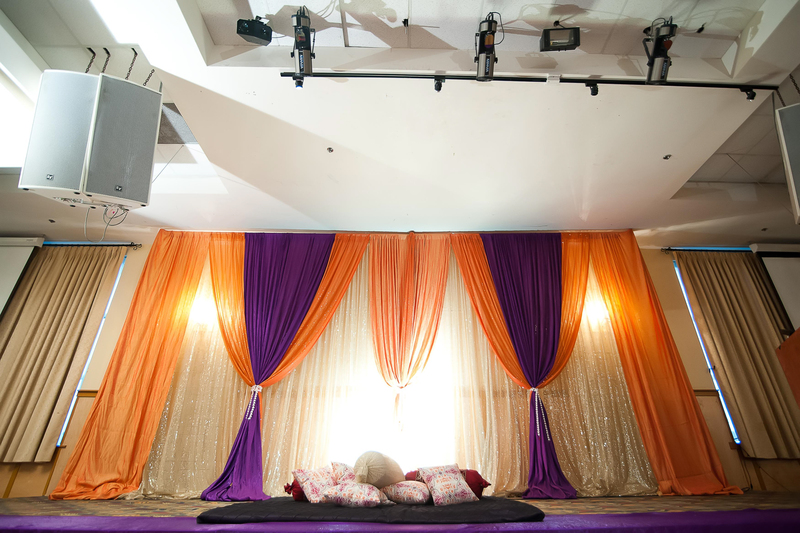 It was Jasmeet’s favorite venue. His brother’s reception was there too, so he already had a relationship with them as well. We were so happy with them. They gave us a hospitality suite that we turned into an afterparty. The best part was we partied until 5-6am and didn’t get a single noise complaint! We’re so lucky in Vancouver. There’s such a large Indian population that you don’t need to go to India. 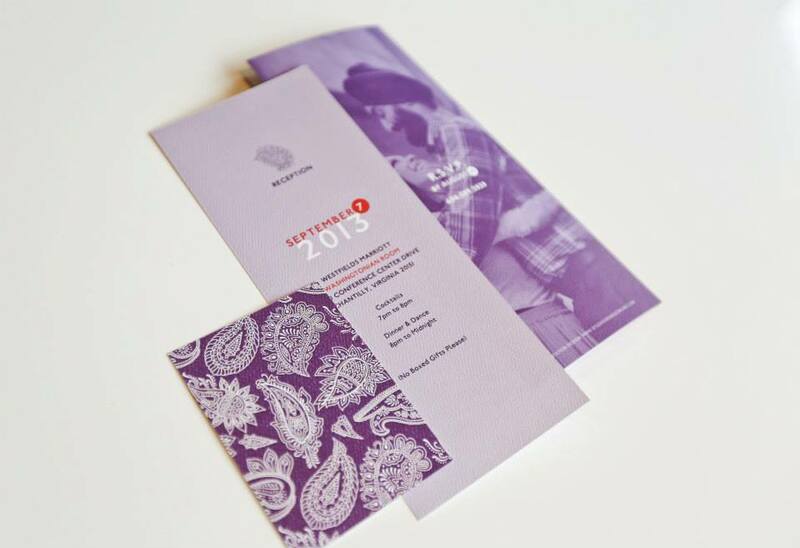 Where did you get your invitations? 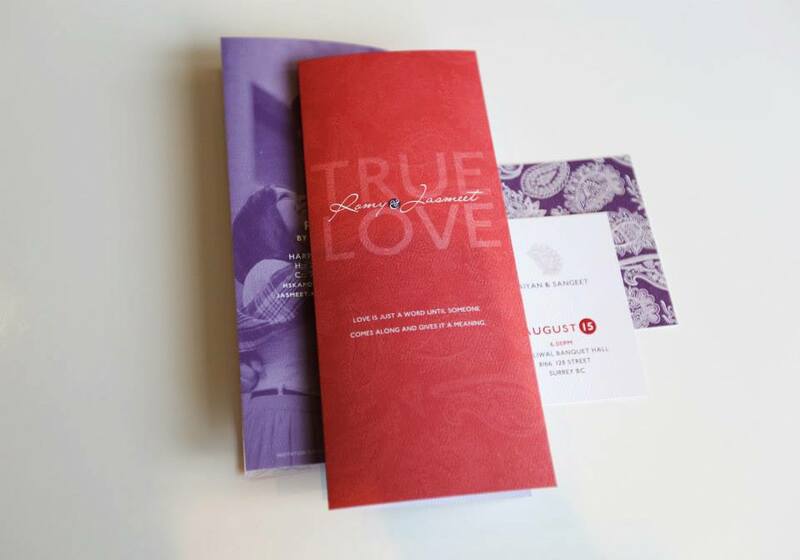 Studio Orange Photography did the photography for our engagement party and she’s a really good graphic designer too so we got our invitations designed by her. Do you have any wedding planning advice? Stay organized. keep track of budgets, deposits for services. Be flexible. Often our parents are paying for a lot of the wedding. Just to help them, try to be flexible. Try to stay within your budget. Even if it means not getting something you want. Book your vendors early. The popular vendors book a year ahead of time. 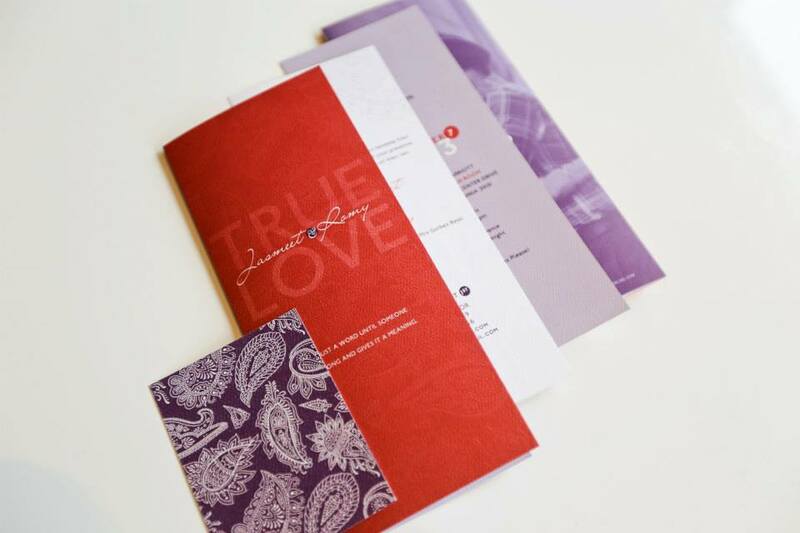 As soon as you know your dates start booking the vendors that are most important to you. There’s going to be something that doesn’t go exactly as planned. Often it’s something that’s out of your control. Stay relaxed and enjoy your day! 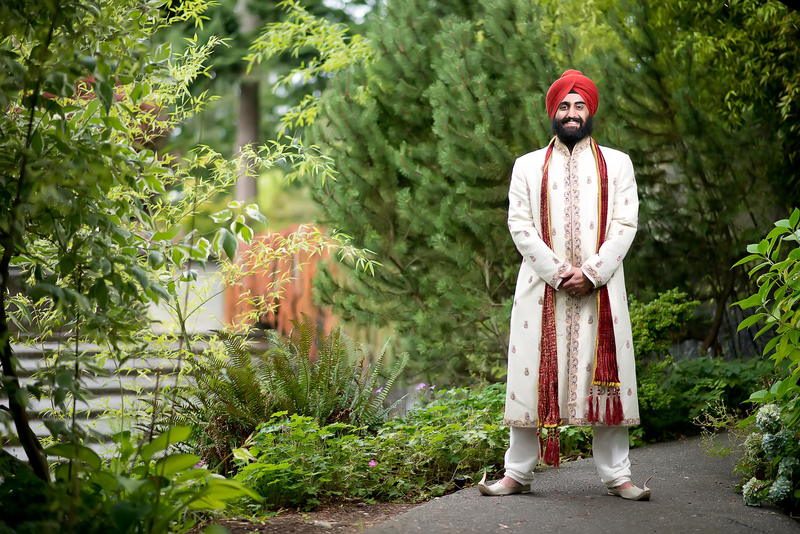 Singer at ceremony: Onkar Singh is Jasmeet’s favorite hymn singer. 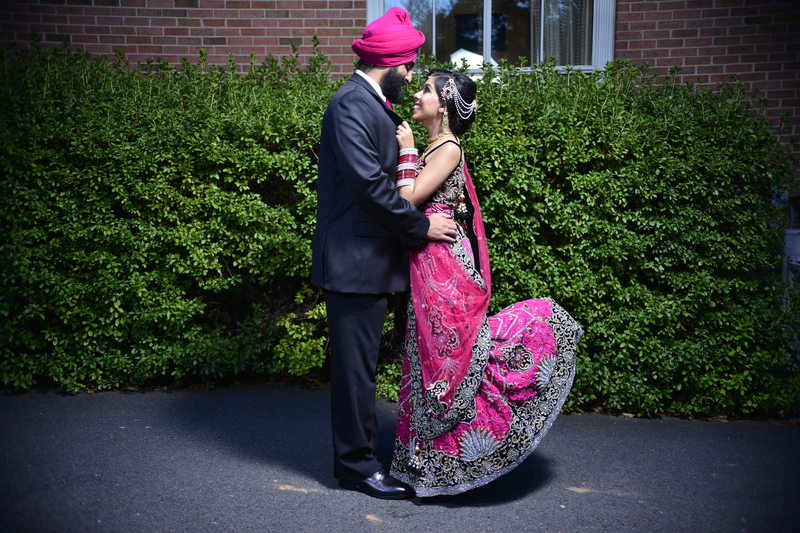 He’s from Toronto and Jasmeet reached out to him on Facebook about singing at our wedding. He was happy to do it, so we flew him out to Vancouver. We were so happy and he did translations of what was happening throughout the ceremony. Often people chat during the ceremony but he captured the attention of everyone. It was really one of the main highlights of our wedding. 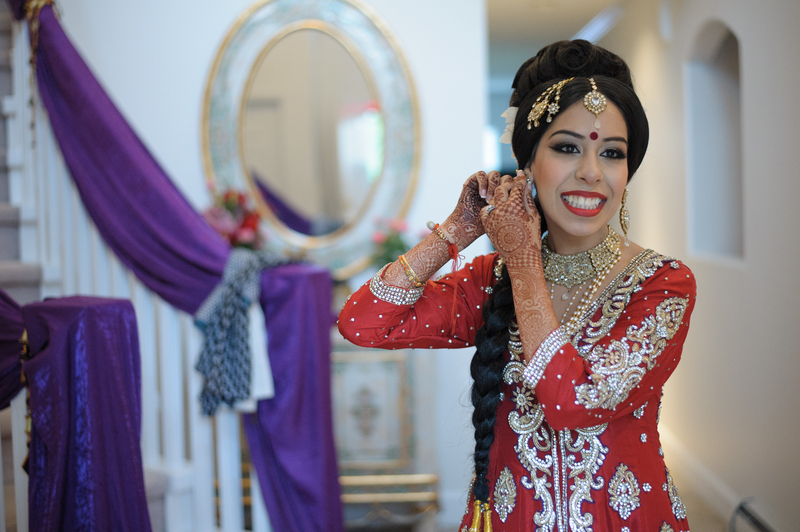 I have been following Pink Orchid Studio since 2009 and I knew I wanted them to do my hair and makeup on the day I got married since then. 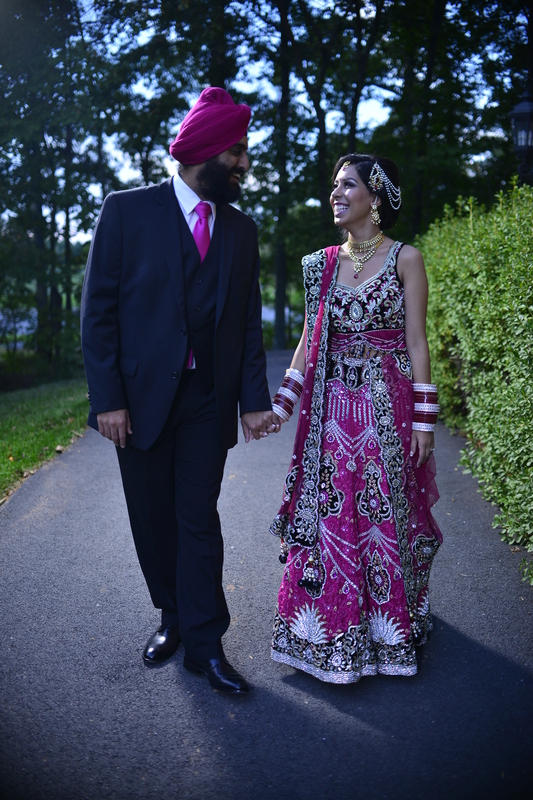 Once we finalized our wedding date, the first thing I did was call them up and booked up. I had a team of 3 do my hair and makeup and they were amazing, so fun to work with and so meticulous with their work. I was very happy with the end result. She is one of the best in the business in Vancouver. 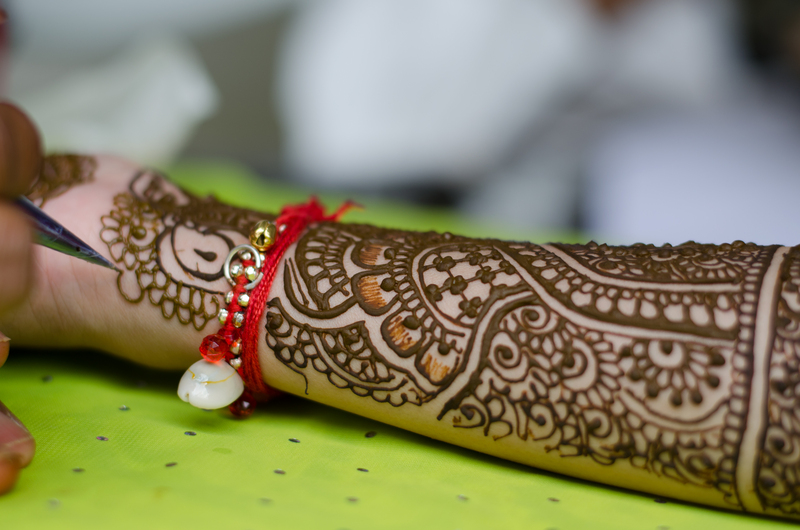 She was very courteous and exceeded my expectations with my mehndi design. 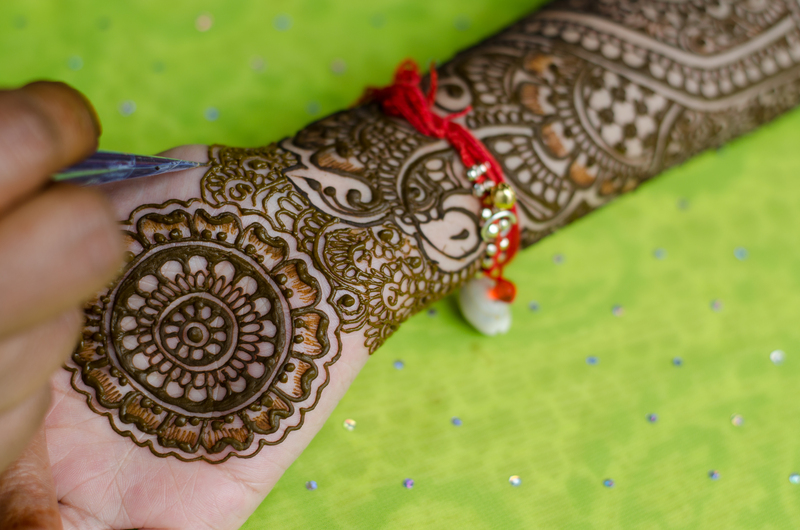 The mehndi she uses is top notch too. She also has a list of instructions she gives that helps with making the mehndi darker (mine was almost black the next day!) and making it last. 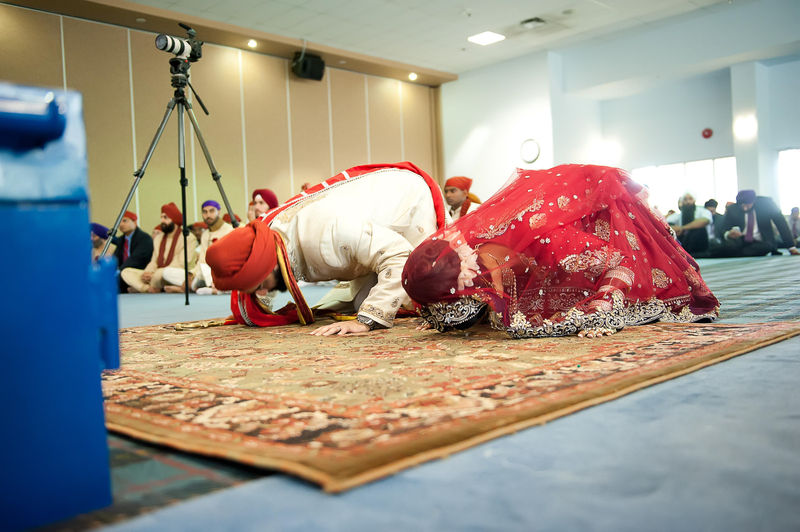 Last year they were awarded with best videographers in Canada. 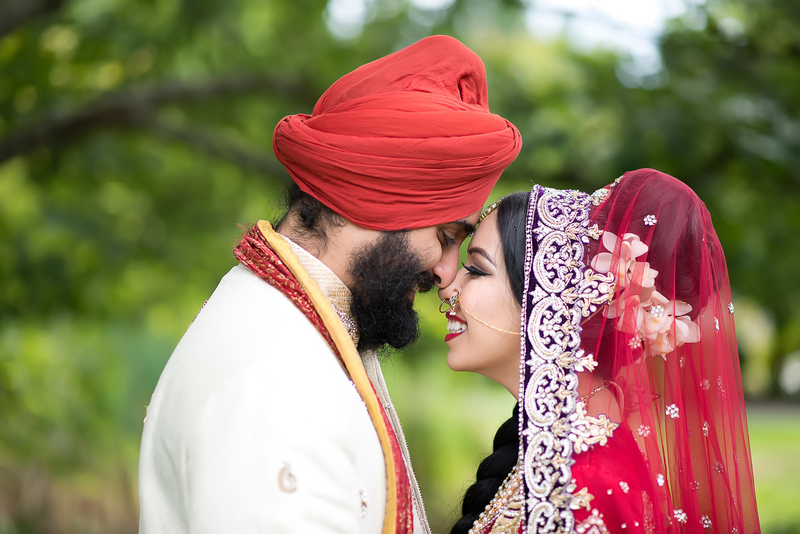 They do a lot of Indian weddings and what sets them apart is the way they make an emotional connection with their clients. Plus, they’re so easy to work with as they’re flexible. For example, we hired other videographers and photographers for our DC reception because Brellow does not travel to the U.S. for weddings. They were really open and accommodating with coordinating footage with the other company. Brellow did all of the final editing for our Vancouver and DC events. Wellgroomed has a great and vast bridal collection for both male and females. He (Dave) is also very thorough if you’d like a custom outfit, which I did. 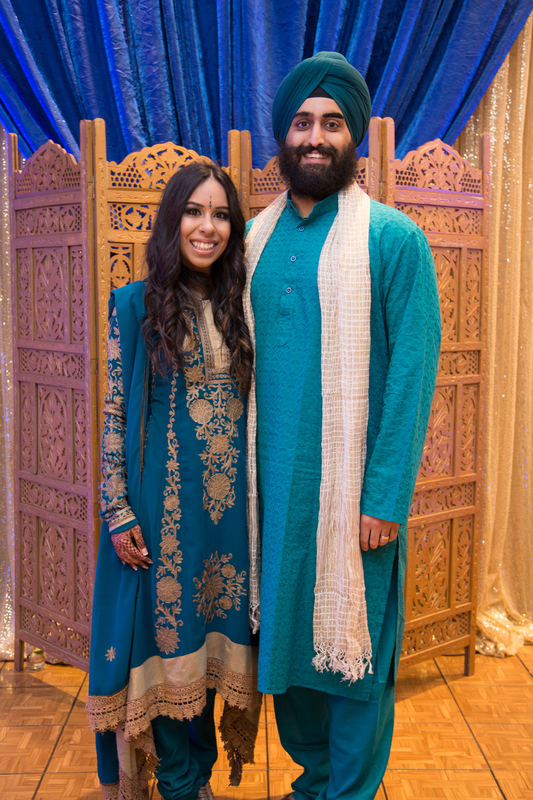 Both, my wedding and reception outfits, were custom made. I brought him pictures of what I wanted and he created these two masterpieces. 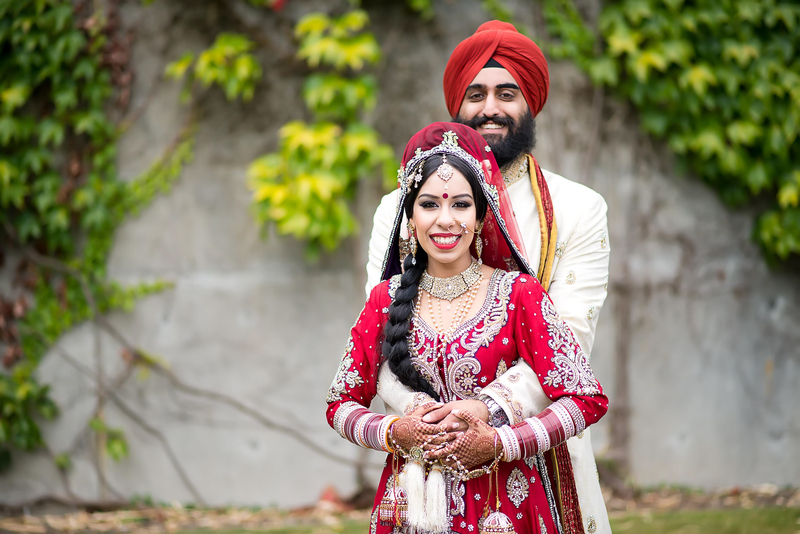 He also created a bridal package for me which included the two outfits, Jasmeet’s outfits and a few wedding outfits for my family. 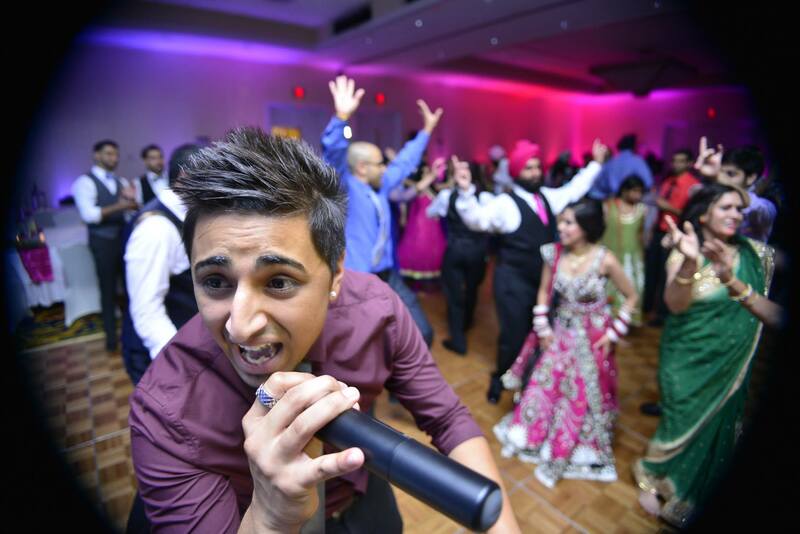 DJ: Amar Sandhu – he’s an awesome singer and DJ and a friend of ours. We were so happy to have him at our wedding. At the end of the reception he sang some songs which was a huge hit! 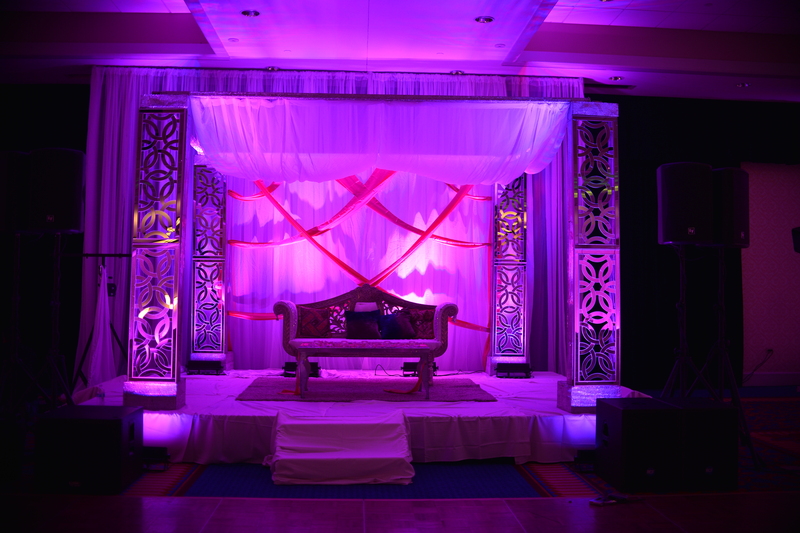 Lighting, Sound, MC: Ateet Ahuja from Planet DJ Productions. 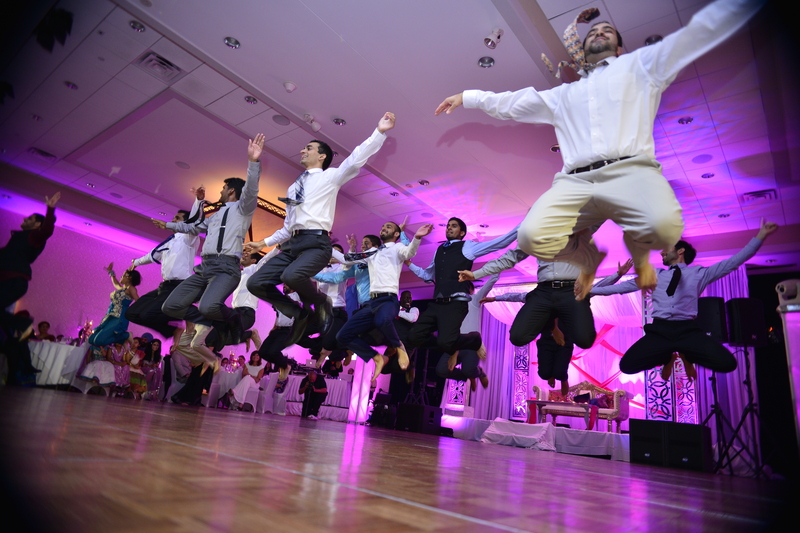 Ateet is professional and really is an expert when it comes to lighting, sound, MC’ing and overall party planning. He did a fantastic job for us! Caroline was fantastic to work with and her cake was delicious! 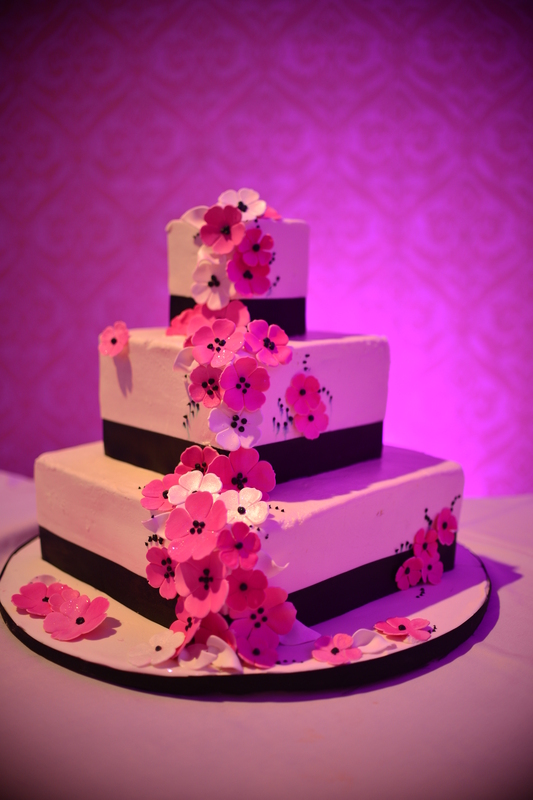 She worked within our budget and worked with our colour scheme to come up with this cake. We wanted something simple and classy and she delivered! They were easy to work with and knew what they were doing when they got to the venue. Delicious food too! All of our guests were raving about how good their food was. Partyland worked within our budget and they were easy to work with. We wanted simple yet classy decor and they delivered! She is my mother in law’s friend but also a professional makeup artist. She was very helpful and great with coming up with ideas. 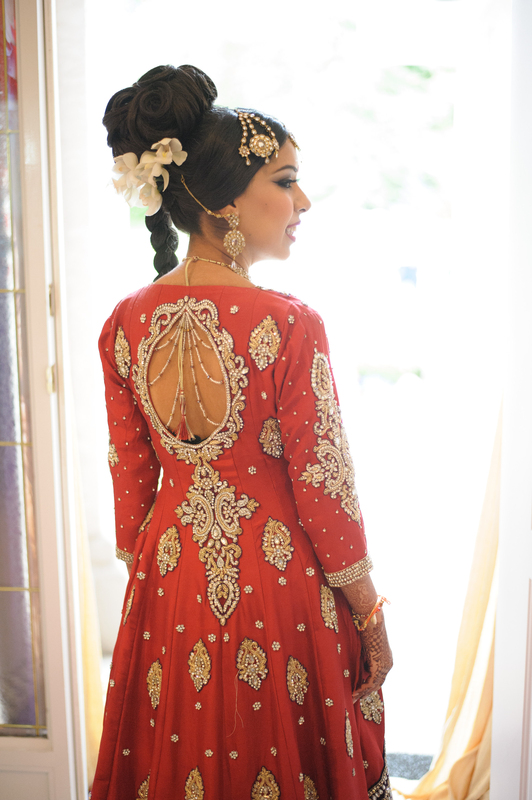 She also does a very thorough consultation to go over everything that you want for your reception look. 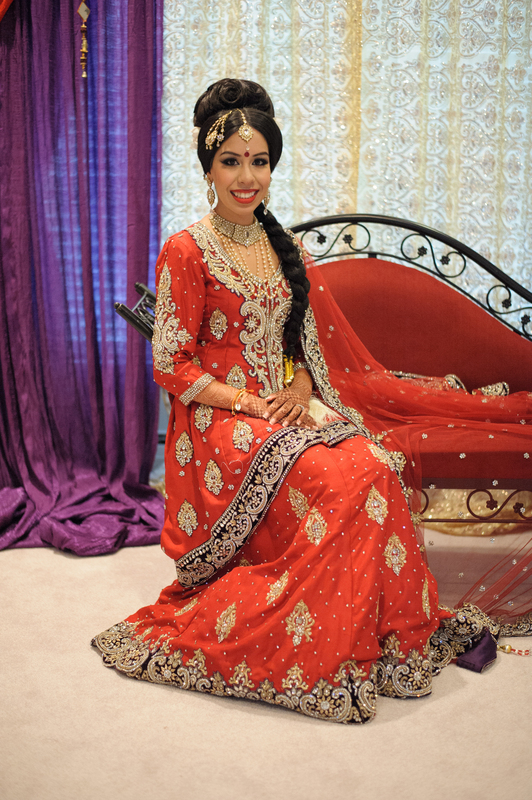 The photography team were friends with Jasmeet. They were so easy and fun to work with. They captured amazing pictures and also let us be silly, and we had pictures that captured that beautifully. They were also helpful with working with the Vancouver photography team and sent over pictures for them to edit quickly. I’m still new to the whole thing. Do you have any recommendations for inexperienced blog writers? Thanks for the compliment! Keep persevering! Look at successful blogs to see other writing styles. That will help you formulate yours. Thanks for the kind words! 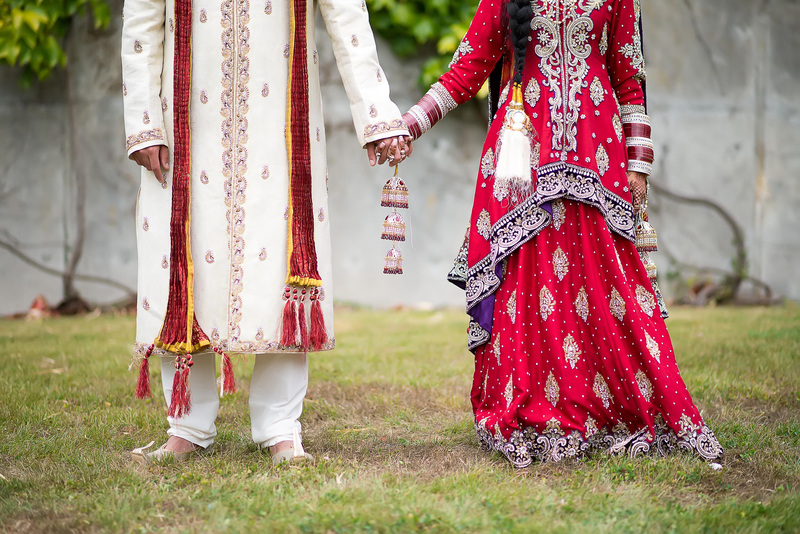 Subscribe to ShaadiShop to receive updates on our new posts! visual appearance. I must say you’ve done a superb job with this particular. me personally on Internet explorer. Exceptional Blog!